A report by Association for Democratic Reforms (ADR) reveals that India Inc donated Rs 956.77 crore to national parties between 2012-13 to 2015-16 with BJP emerging as the highest beneficiary by bagging more than Rs 705 crore. Interestingly, the report highlights how electoral trusts have emerged as the biggest donors to political parties during these years despite many of them not even providing PAN details for several such donations. The report claims that electoral trusts and Group of Companies (GoC) donated Rs 432.65 crore during the above mentioned four years with GoC contributing only 4% of the total amount. The ADR analysis reveals that Electoral Trusts contributed Rs 419.69 crore worth of donations to national political parties with BJP receiving more than double of what Congress managed to secure from these Trusts. Among the several trusts that donated to political parties, Satya Electoral Trust, set up by Bharti Group, contributed a whooping Rs 260.87 crore followed by General Electoral Trust with 124.80 crore. Meanwhile, Progressive Electoral Trust, Jan Pragati Electoral Trust and Triumph Electoral Trust contributed Rs 12.79 crore, Rs 3 crore and Rs 2 crore respectively. The ADR report further reveals that BJP received Rs 193.62 crore while Congress was the recipient of Rs 57.25 crore of funds from the Satya Electoral Trust. National Congress Party (NCP) received Rs 10 crore from them during the same period. Meanwhile, the General Electoral Trust, incorporated before the Electoral Trust Scheme was launched by the government in 2013, was the second highest corporate donor to BJP and Congress. Between FY 2012-13 & 2015-16, the Trust donated Rs 70.7 crore and Rs 54.1 crore to the two national parties, respectively. Moreover, the ADR report revealed that the two Left parties - CPI and CPM - received no donations from these Trusts and their top donors included Associations and Unions. Created with the intent of bringing transparency in electoral donations, electoral trusts gave corporations and individuals an opportunity to donate to political parties on their behalf without being singled out for preferring one political formation over other. This ensured that the donors could remain anonymous hounded by political parties for favouring one party over other. The provisions of donating to such Trusts led to major corporations floating their own non-profit entities wherein it was mandatory to contain “Electoral Trust” in their names. Moreover, companies could also avail tax benefits on donations made political parties through these Trusts. The IT Act gives 100% deduction for the contributions made to a political party. As a result, the Tatas, Bharti Group, Aditya Birla Group, Reliance, Bajaj, Mahindra, among other business houses set up their own Trusts to provide donations to political parties and avail tax benefits. In fact, more than 14 such Trusts were set up by these business houses before the 2014 Lok Sabha elections. The Progressive Electoral Trust was set-up by the Tatas, Reliance group formed People’s Electoral Trust, Vedanta group registered the Janhit Electoral Trust, the Paribartan Electoral Trust was set up by MP Birla group while the KK Birla group created the Samaj Electoral Trust Association. In 2009, the UPA government, while presenting its first budget during its second innings, proposed to make tax exemptions for donations made to Electoral Trusts. In 2013, the Central Government amended the Income Tax Rules, 1962 to insert Rule 17CA which lists the functions of Electoral Trusts approved by the Central Bureau of Direct Taxes (CBDT). “The Central Government, simultaneously, notified ‘The Electoral Trusts Scheme, 2013’ which specified the eligibility procedure and format for registration as an Electoral Trust. The amendment and the scheme were introduced for the registration of Electoral Trusts whose sole purpose was to fund registered political parties in a transparent manner,” reads the ADR report. Except for making donations to political parties, these Trusts could indulge in no other business and were also barred from donating to each other. Later, on 6 June 2014, the Election Commission of India circulated guidelines instructed all Electoral Trusts formed after January 2013 (hence approved by the CBDT), to submit an Annual Report containing details of contributions received and donations given by the Trust to political parties. Later in 2016, the IT department barred public sector undertakings and foreign sources from contributing funds to such Trusts. Earlier, Electoral Trusts were allowed to take funds from foreign sources. These lucrative provisions allowed these companies to float their own Trusts without being seen as biased towards a particular political party. 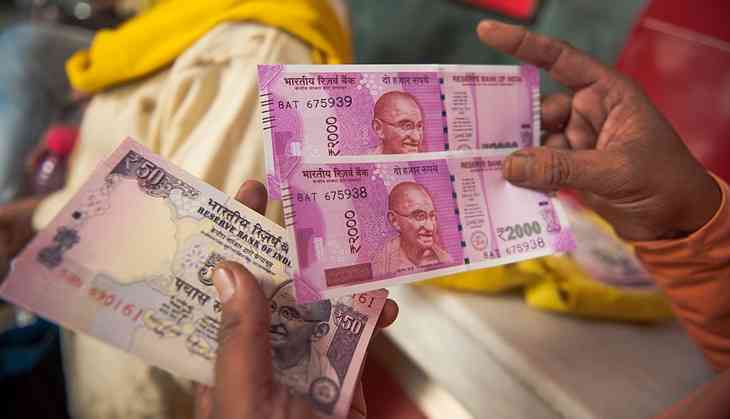 However, all of that is set to change with the introduction of electoral bonds by Reserve Bank of India wherein they can be bought and deposited in the account of a political party without giving away the identity of the donor. The Finance Bill of 2017 introduced the concept of these bonds which is likely to force corporates to make use of them while making donations. While introducing this new financial instrument, the government claimed that it will bring in more transparency which has been backed by the corporate sector. The latter believes that it will further help in keeping these donations anonymous and avoid revengeful political culture that has troubled corporate houses in the past.